Amy has relied on MetroLink to get to and from work over the past four years, and she’s enjoying the benefits her commute provides every day. To get to work at Washington University, Amy parks her car at the free Park-Ride lot at the 5th & Missouri MetroLink Station and boards either a Red or Blue Line train. From there, she rides the train and exits at the Central West End MetroLink Station. “It’s nice that I don’t have to worry about traffic,” she said. In addition to avoiding the stress of gridlock, Amy also enjoys the cost-savings of using public transit, as well as its sustainability and environmental benefits. Her commute also gives her a chance to relax and let her mind wander. “I stare out the window and daydream that I’m on a beach somewhere,” she said. 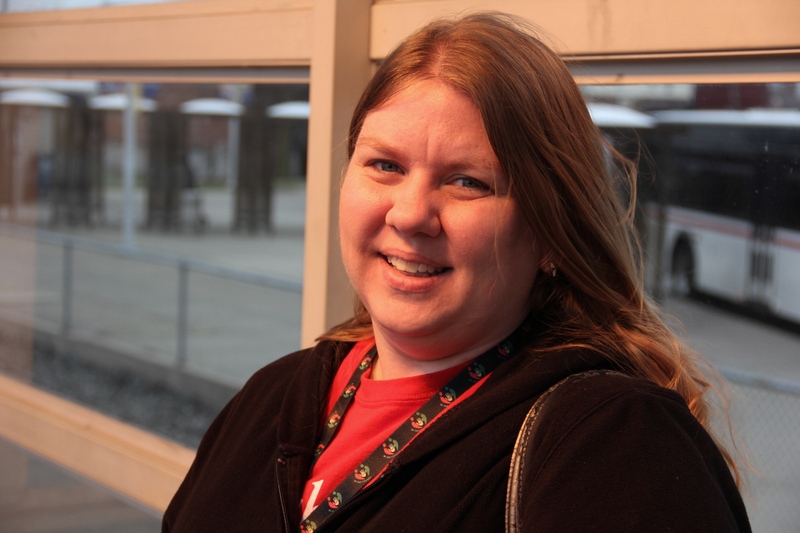 In addition to using MetroLink to get to work, Amy and her family also use the train to attend St. Louis Cardinals baseball games and other big events in downtown St. Louis.